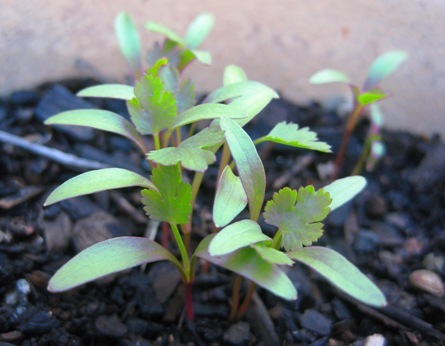 Newly sprouted coriander seeds in Kurma’s garden. “O Arjuna, I am the generating seed of all existences. There is no being – moving or unmoving – that can exist without Me.